Reuse the code, and review the work you have done. In the History tab, you have access to the SQL Execution History, that works like your local query history. You also have access to the full code you wrote on Amazon Redshift. DataRow’s search engine is powered by Elasticsearch, so you can be assured of finding what you need when you need it. 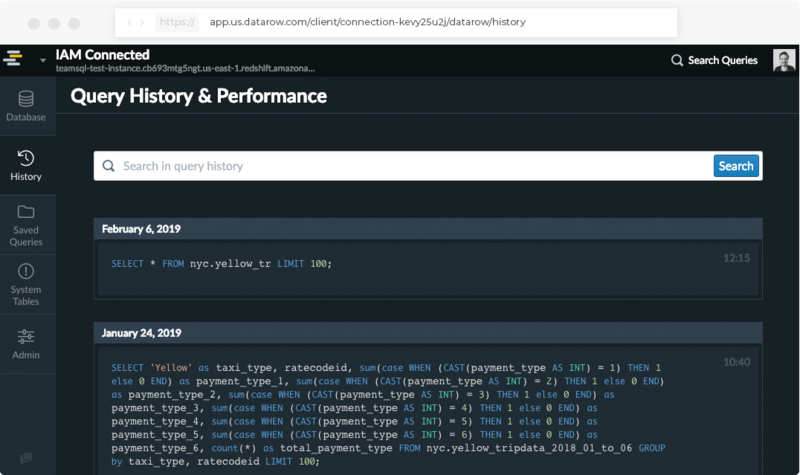 Query History also includes the Query Performance Console that provides information about the performance of queries that you’ve run in your Amazon Redshift. You can use this information to identify and troubleshoot the queries that take a long time to process and that create bottlenecks preventing other queries from processing efficiently. 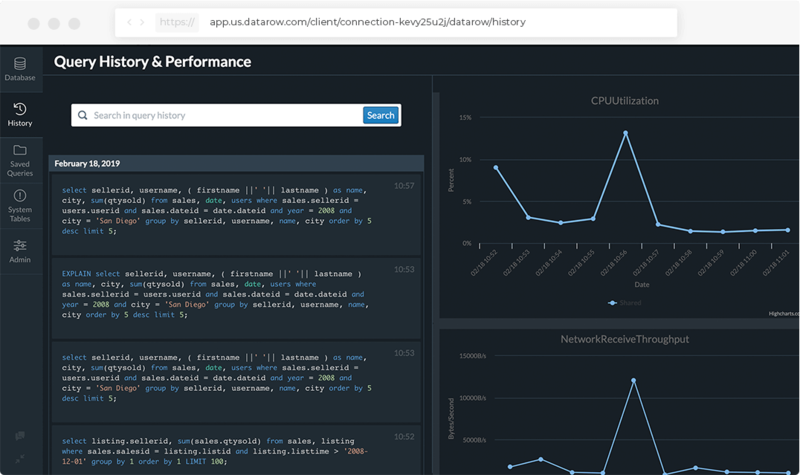 Learn more about the Query Performance Console.